Peten Travels prides itself on its unique and historically rich tours. We strive to give every tour something other tour companies do not. Not surprisingly from time to time some of our customers have requested something just a little more. 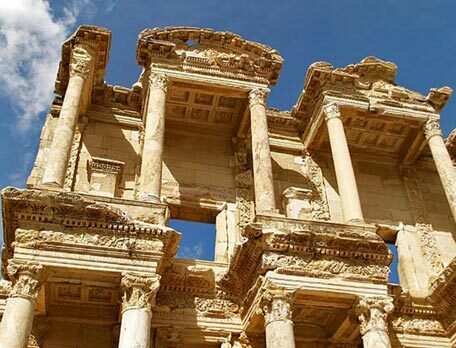 Perhaps you wish to focus on one site or historical landmark, such as the fascinating Ephesus in Aegean Turkey, in order to dig and explore a little deeper. Perhaps you literally wish to walk in the footsteps of Alexander the Great or meet the excavation team of the the World’s First Shrine, Gobekli Tepe, or explore the hidden valleys of Cappadocia. Well, let Peten Travels personalize your journey by creating a custom-designed itinerary just for you. We are open to any suggestions you may have. Whether on your own, with your family or with a special group of friends, we can take your dream vacation and make it a reality. With a little extra planning time we can adopt your ideas of where you want to go and for how long and create a unique journey totally tailored to your needs and desires. Our specialists know every corner of Turkey and can also expertly provide you with itinerary suggestions. Any of the escorted group itineraries listed in our travel tour book or on our web site can be taken as an independent tour. You can add on a pre or post extension tour in Istanbul for example or book a scheduled tour only for your private group. The cost will vary from the price shown, depending on the itinerary changes you choose to make, the independent services you request, and whether you travel on your own, as a couple, or with your own private party of family or friends. Please contact us at petenturizm@petentour.com. 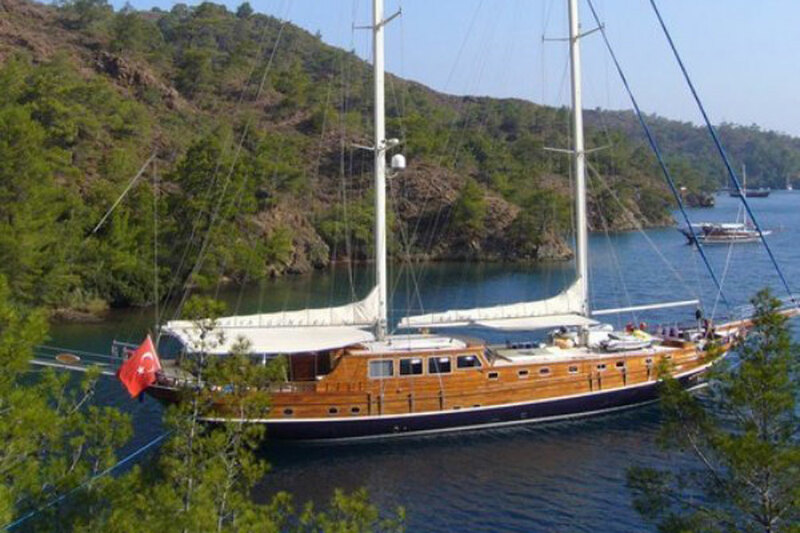 A “gulet” is a picturesque traditional wooden yacht modified to accommodate passengers. These boats are powered by a quiet engine most of the time as their sails are mostly for show. However our captains use the sails whenever possible. 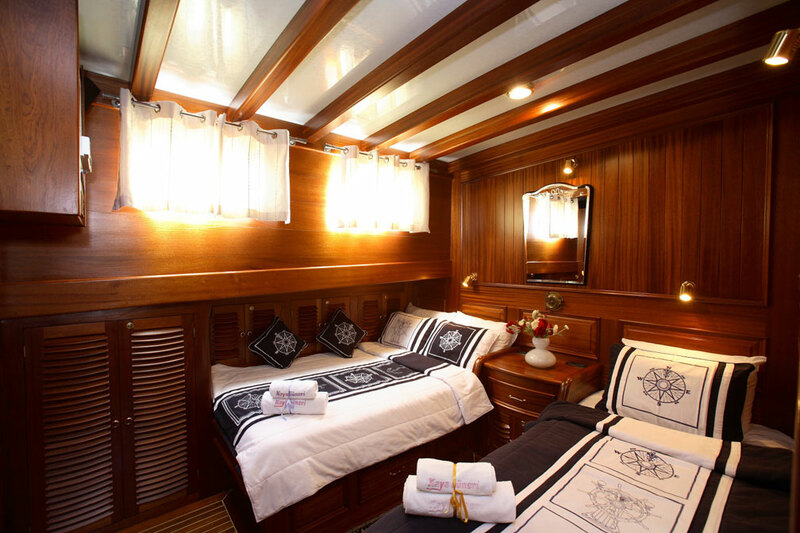 Our gulets are between 32 and 42-metre vessels with 4, 5 or 6 air-conditioned cabins beautifully finished with mahogany paneling. 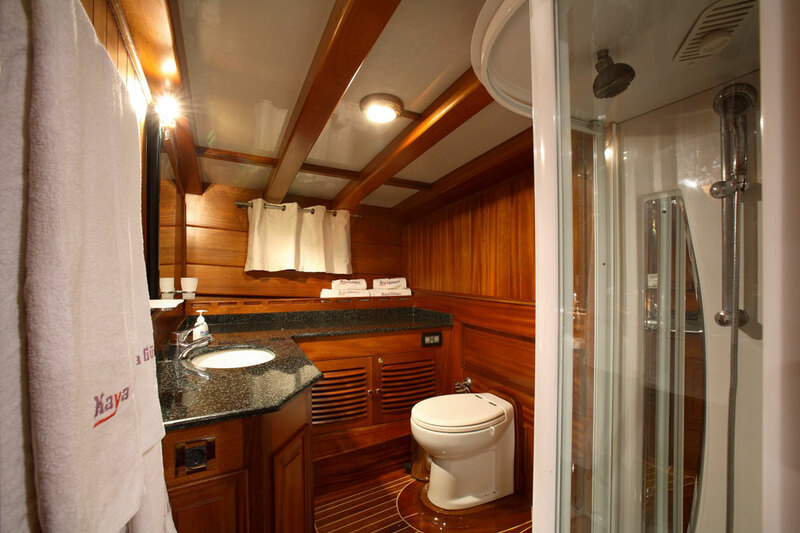 Each cabin has a private bathroom with a shower. 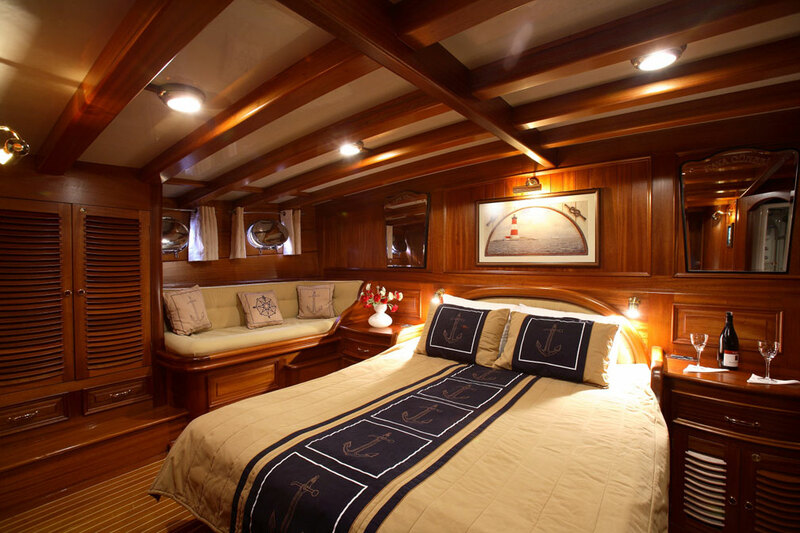 There is plenty of room for relaxing and reading in the lounge or on the decks outside. 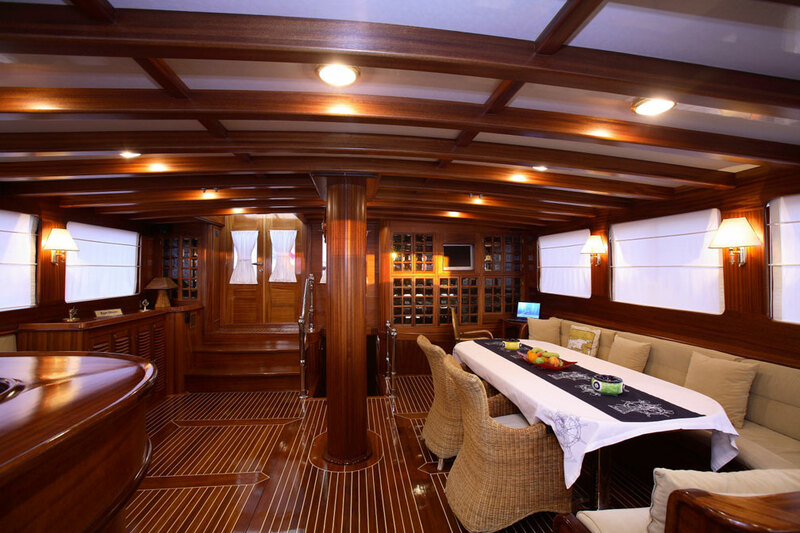 A large kitchen and bar area is located towards the back of the gulet, and meals are served in a large open area at the stern. Canvas and sailcloth awnings cover the dining area and a portion of the foredeck thus providing shade for comfortable lounging. All of our boats carry emergency medical kits and also have a basic library offering both classical and modern literature for your reading pleasure. 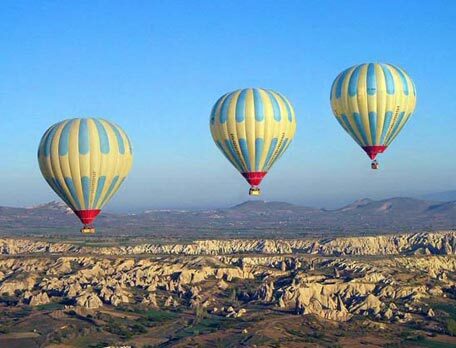 Please see the Discover Turkey by Land and Sea Tour for a sample of a possible itinerary. Of course Peten Travels is open to any ideas you may have in regards to exploring the Turkish Mediterranean coast. All of our gulets comply with the high safety standards of local government regulations, which are monitored thoroughly by the coast guard.